My Sweet Patootie is a swinging roots group from rural Ontario that brings twining vocal harmonies, monstrous fingerstyle guitar, sizzling fiddle, percussion and abundant charisma together in one perfect package. 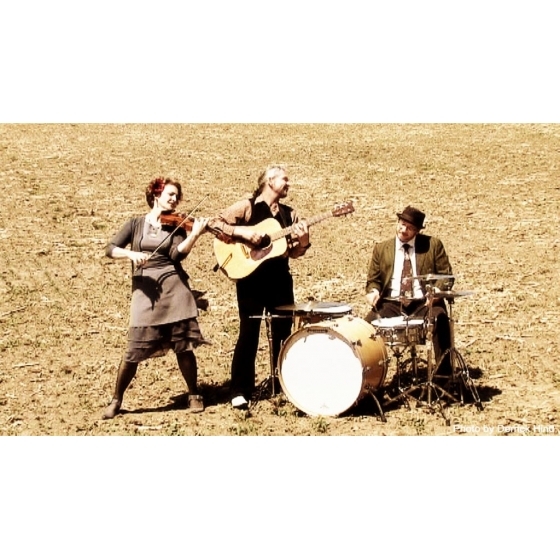 Their music is a tongue-in-cheek blend of swing and americana. Complete with tall tales and corny jokes, the My Sweet Patootie show is modern-day Music Hall that Driftwood Magazine describes as “two parts exemplary musicianship, one part vaudeville comedy”.